Bishop Thomas J. Bickerton intends to make the following appointments at the 2019 session of the New York Annual Conference, to be effective July 1, 2019. The Reverend Dr. Karen A. Monk will be appointed as the District Superintendent of the Catskill Hudson District on July 1, 2019, replacing The Reverend Timothy J. Riss. Rev. Monk has spent most of her pastoral career serving within the bounds of the Catskill Hudson District, most recently serving as the pastor of the Kaaterskill/East Jewitt Charge for the past sixteen (16) years. She has also served at Kingston: St. James, Olivebridge, and Samsonville. Karen understands the unique nature of life in rural Appalachia and brings expertise in representing mountain life and the people who make up the Catskill Hudson region. She has faithfully served the Annual Conference on the Commission on Native American Ministries and for the last several years as a member of the Conference Board of Ordained Ministry. Karen graduated from Southwestern University and then earned her Master of Divinity, Master of Sacred Theology, and Doctor of Philosophy degrees from Union Theological Seminary in New York City. The Rev. Timothy J. Riss will be appointed as the District Superintendent of the New York-Connecticut District on July 1, 2019, replacing The Rev. Elizabeth J. “Betsy” Ott who is retiring. Rev. Riss has been the District Superintendent of the Catskill-Hudson District for the last four years. Given the complexities and significant transitions that are occurring within the New York-Connecticut District, the appointment of a seasoned superintendent will enable this district to quickly continue its track of creative and strategic work. Tim has a long record of faithful service to the church through his previous assignments in Fleischmans, & Halcott Center, Franklin, Catskill, Smithtown, Hicksville, and Poughkeepsie. He has faithfully served various Boards and Commissions of the Annual Conference and the General Church for over thirty-nine years. Tim earned his Bachelor of Arts degree at the University of Rochester, NY and his Master of Divinity degree from Colgate-Rochester Divinity School/Bexley Hall/Crozer Theological Seminary. Rev. Elizabeth Abel was nurtured in the New York Conference. She is passionate about her relationship with Christ and possesses strong leadership skills. Pastor Abel received her first appointment in 2016 as the Senior Pastor of the Woodycrest United Methodist Church in the Bronx. While at Woodycrest, Pastor Abel partnered with other pastors in a Cooperative Parish Team. Their focus was on building community relationships and forming connections between the congregations and those who live in the surrounding neighborhood. Her service in the United States Air Force and her time as a Social Worker with emphasis on work with families and youth has shaped her for the work of ministry. Pastor Abel served as the Children’s Minister at the Church of Village UMC, and has also worked as the Ministerial Assistant to Youth and Young Adults before being commissioned in 2017. Rev. Abel holds both a Masters of Social Work from Columbia University and the Master of Divinity degree from Drew Theological School. Her undergraduate degree from Rutgers University is in Criminal Justice. She enjoys pouring her love into her two daughters. The Cornerstone Community UMC of Norwalk CT was formed in 2017 from the merger of the former East Avenue, El Camino and Norwalk congregations. Also part of the Cornerstone congregation are former members of First UMC which closed in 2008. Today the congregation is focused on engaging with the community of Norwalk through mission and ministry. There is a vision to renovate the original Norwalk UMC parsonage located next door to the church and use the space for outreach, especially to the Hispanic and Latino community of Norwalk. As the City of Norwalk undergoes massive redevelopment, the congregation is also rethinking and redefining what it means to be “church” with a focus on ministries that will engage newcomers, millennials, and others who are “uns” and “nons” in the community. A renovation of the church building to meet these ministry needs is in the early stages of discussion. Cornerstone Community is faithfully and seriously focusing on their role as the remaining Methodist presence in Norwalk with an eye to the future. Rev. David T. Ball has served Union in Brooklyn since 2011. His strong commitment and desire to study God’s Word and prayer are the bottomless fountain of his dynamic preaching and teaching and energetic ministry. He has a consuming passion to reach people who don’t know Christ, especially youth and young adults in various ways such as Marching Band and After School programs. Through his administrative abilities and skills to equip and enable people as servant leaders he is doing his best to build up the healthy body of Christ to serve the community and transform the world. 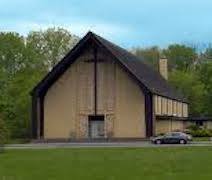 St. John’s United Methodist Church is a diverse, healthy and vital congregation located in Valley Stream and Elmont in Nassau county. “Under the guidance and empowerment of the Holy Spirit they are committed to ‘Spiritual Development,’ through Bible Study, Prayer, Worship and Service.” St. John’s continues to devote themselves to “serving their community, nation and the world in a manner exemplified by Jesus Christ.” The church is very active and fruitful invarious ministries such as Disciple Bible Study, Music Ministry & Academy, After School Program, Pastoral Care. However, St. John’s is eager to invest more strength and resources on developing Youth & Young Adults ministries for the bright future of the church. Rev. Delores M. Barrett has served Middle Village Community since 2013 and was ordained an Elder in 2014. She is a graduate of New Brunswick Theological School and has a tireless passion for the spiritual well-being of others. To bring out her passion she is relentless in prayers, fasting and studying the Word of God. Pastor Barrett has been building fruitful ministry holistically that meets the needs of the addict, mentally disable, psychologically/physically challenged and incarcerated. She is a humble servant of God who stoops down and washes the feet of the homeless, attends to their wounds. Her vision is to take the church to another level in the 21st century through live stream so that the gospel reaches the four hemispheres especially the unchurched. Brooks Memorial United Methodist Church is a healthy and vital congregation whose vision is to make plain the gospel of Jesus Christ: so that it manifests itself in the lives of the members and the people in the community through spiritual, political and economic empowerment. The church is very dynamic and effective in many areas such as highly spirited blended worship services, Eucharistic ministry, Jazz Communion Vespers, Bible storytelling which has added new members, Drama ministry, Recovery ministry which includes Recovery on the South Side. To adapt to the demographic changes, the church has been supporting Indo-Pakistan language ministry in their building. Rev. Lynda J. Bates-Stepe grew up in the United Methodist Church in Branford, Connecticut and has served churches in Connecticut and New York as a pastor since 1987. She has been on Long Island for over 20 years first at Setauket UMC, then Interim at East Meadow UMC and then at Commack UMC. Most recently she has served with the people of Smithtown UMC as Interim after the untimely death of their pastor. Pastor Lynda serves on the Board of Ordained Ministry, as the Dean of Compass, and enjoys working with colleagues and mentoring those who are just beginning their ministry. Along with her husband Atis Stepe and stepdaughter Deanna, Lynda has been a Puppy Walker for the Guide Dog Foundation and Vet Dogs of Smithtown, which trains service dogs for the blind and veterans. These days David and JP, both certified Therapy Dogs, take Lynda for long walks, visit with her at nursing homes and hospitals and even are present at difficult funerals to be comfort to those grieving. It is a wonderful aspect of ministry that congregations enjoy taking part in. Smithtown United Methodist Church is celebrating 174 years of ministry to the people of Smithtown and surrounding towns. They are passionate about worship and offer Christian education through Bible Study, Confirmation classes and Sunday school. Community outreach is key to their spiritual growth and ministry. Smithtown Church sponsors a Girl Scout and Boy Scout troop, a Parkinson's Therapy Center and a Thrift Shop. They also serve as one of seven churches that participates in the Smithtown Pantry. One of their greatest gifts to the community is their Wesley Pre-School that offers educational opportunities for 3-5 year olds throughout the community. Smithtown UMC welcomes all to share their gifts and join them as they "Build Community on Faith In Christ". The Rev. Adrienne L. Brewington is an Ordained Elder in full connection with the United Methodist Church since June 2003, and is presently the senior pastor of Poughkeepsie United Methodist Church. Prior to this appointment, Rev. Brewington served two congregations, First Church, Hollis and Westbury United Methodist Church. She led them to greater spiritual health, strength and growth before being appointed to be District Superintendent of the Long Island East District. Koinonia and commitment to the cause of Christ were the hallmarks of her superintendency. Rev. Brewington served as the Dean of the Cabinet four years. Rev. Brewington held several positions in the public sector, as an Assistant District Attorney in the Bronx, and Suffolk County, and as an Assistant New York State Attorney. One of her many gifts is her music ministry with the Shepherd Singers. Rev. Brewington shares her life and ministry with her husband, Frederick Brewington, a renowned civil rights attorney and a prominent lay leader in the New York Annual Conference and the General Church. The United Methodist Church of Babylon began in the home of a devoted Methodist family in 1831. Over the years it has grown into a home for many – the place where the joys of baptism and marriage are celebrated, the place where the sorrows of illness, death and loss are embraced. Worship services are inspirational and transformational, outstanding music, dynamic sermons, and an atmosphere that is open. They express their spiritual longings with song and prayer. The UMC of Babylon has a well-equipped nursery; the church reaches out to the community and around the world. As United Methodists, the UMC of Babylon is a connectional church that contributes to mission programs and relief efforts both locally and globally. The Rev. Susan Chupungco is a California native and a life-long United Methodist. She attended college in Northern California, earning her bachelor’s degree in political science in 2001. She worked for the 2002 Winter Olympics in Salt Lake City, UT before continuing her journey east to Washington, DC, where she worked in non-profit event planning and fund raising. In 2008 she followed God’s nudging to return to California, where she began exploring her call to ministry working with youth in Sacramento, with an emphasis on ministry with the poor and engaging in social justice issues. Continuing to follow her call to ministry, Susan pursued her master of divinity degree at Drew Theological School in Madison, NJ, which she earned in May 2014. She lives with her husband, Angelo, and son, Grayson. They enjoy traveling; much of their time outside of New York is spent with family in California or the Philippines. This initiative will present new opportunities for community engagement; allow seminarians to practice the craft of pastoral ministry; and, most importantly, provide greater opportunities to share the gospel of Jesus Christ to a group of people as yet untouched by the local churches. The lead pastor will create/nurture Fresh Expressions of ministry beyond the local church, throughout the towns of Pleasantville, Dobbs Ferry, Ardsley, Hartsdale and Tarrytown. Additionally, this initiative will nurture a culture of excellence in the assigned seminarians, providing a feeder system to local church appointments in the NYAC after their graduation and/or creating Incubators in other parts of the conference. Pastor Cunningham received his Master of Divinity degree from Pacific School of Religion in California. It was there where he met his wife, Ms. Rebecca Asedillo. Their ministry has grown over the years. It was a conversation with his then teenage daughters that led him to go deep and develop a model for a new church start. For the past eleven years Rev. Cunningham served New Day Church. Pastor Cunningham grew up in the United Methodist Church; he is committed to crossing boundaries of race, class, sexual orientation, gender and age. He will seek to build relationships with new families while reaching the greater community. Pastor Cunningham is an elder and has pastored in in the Ohio West, Baltimore-Washington and the New York Conference for thirty-seven years. Asbury United Methodist Church has a Methodist history that dates back to over 200 years of ministry. During the summer months Asbury members and friends still worship in Bethel Chapel where Francis Asbury and George Whitfield often preached. Many circuit riders came through Croton and it became known as the “Prophets Corner”. Croton residents of all denominations have been buried in the church’s cemetery. It is stated that many prominent men like Van Cortlandt, the first Lieutenant Governor of New York attended worship there. Today the people of Asbury are well connected to the community. They work with the Sanctuary Coalition, they joined a faith based regional coalition to host guests experiencing hopelessness for two weeks each winter. Asbury was the catalyst for the Run Against Hunger Race which is in its 37th year of meeting the needs Cortlandt Emergency Food Bank. Asbury is becoming a place where all are welcome. Rev. Melissa Hinnen is a life long United Methodist, prior to her ordination in 2017, she was the Director of Communications for the United Methodist Committee on Relief (UMCOR), Public Information officer and Director of Content for the General Board of Global Ministries. Pastor Melissa has faithfully served Asbury UMC, Croton-on-Hudson for the past four years. While there she re-launched the youth ministry. Not only has she increased worship attendance; she has incorporated the young people into the life of the church. New families have come, and the congregation has grown in “body and spirit”. Pastor Melissa is an effective communicator, preacher and pastor, who develops creative, intergenerational, intercultural liturgy and worship experiences that share the Good News in accessible, meaningful, and often provocative ways. She is a graduate of New York Theological School. The church has a lively, well-attended worship service, with congregation members sharing leadership of the liturgy, an active social justice ministry, a well-established Stephen ministry, a Sunday dinner each week for anyone hungry or lonely, Sunday School, an arts group, a support group for caregivers of aging. Through diverse ministries Park Slope wants to serve the Lord and all kinds of people with the love of God through Jesus Christ. Pastor Annette Rodriguez is a Bronx native. She is has served as the associate pastor of Epworth United Methodist Church, charged to build community relationships within the South Bronx. As the lead pastor of Woodycrest United Methodist Church she will continue to strengthen those initiatives and develop small group ministries that meet the needs of the greater Highbridge community. Pastor Rodriguez is bilingual, and well equipped to provide spiritual leadership and develop strategic guidance for the members. She is passionate about sharing the prophetic word of God’s love with all people. Pastor Rodriguez received her master of divinity degree from Duke Divinity School, Durham, NC; her MBA in health care administration from Hofstra University, Hempstead, NY; and a BA in anthropology and classical civilizations from New York University, New York, NY. Woodycrest United Methodist Church was formed as a last request of Mrs. Elizabeth Worrell Jones to form a Methodist church and a church school in the Highbridge section of the Bronx. Her husband and a good friend, Rev. David Couch and Rev. Jacob Price, the pastor of Washington Heights United Methodist Church, came together to make her request a reality. The congregation moved to its present location in 1912. As the community changed in the 1950’s and 1960’s, the membership of Woodycrest reflected the community. Today they remain faithfully committed to God and community. In 2005, Woodycrest began a soup kitchen, “ The Bread Basket.” This weekly ministry continues to nourish 160 members of the community both physically and spiritually. Woodycrest’s motto is “a little church with a BIG Heart” and everything we do reflects the heart of our membership to serve the people of the community and beyond. Rev. Spiak has served as pastor to the Milton-Marlboro congregation for nine years and recently has also pastored the Modena UMC. In addition, Jody served at the assistant pastor for Greenville-Norton Hill and as a student pastor for the Angelica, Short Tract and Oramel UMC’s in western NY. Jody has a strong interest in chaplaincy and serves regularly in this capacity at the Vassar Brothers Hospital in Poughkeepsie. Rev. Spiak holds a B.A. in Ministerial Religion from Houghton College and the M.Div. for Luther Seminary. Jody is anticipating Full Elders ordination in the New York Conference, June 2019. He and his wife, Crystal, have four children and the family enjoys hiking, camping and outdoor activities. Poughkeepsie United Methodist Church, located on New Hackensack Road in Poughkeepsie, NY is a diverse congregation with a passion for ministry in the community and the world. PUMC maintains a commitment forged years ago with the Poughkeepsie AME Zion church to support a low-income housing project and Harriet Tubman after-school program for children in downtown Poughkeepsie. The church offers many ministries and programs for families and single individuals including: small group Bible studies, Soaking Prayer with the prayer team members, youth group activities and events, Sunday School for all ages, and both a contemporary and traditional worship service weekly on Sunday mornings. In addition, the church hosts special events during the year for members and the community such as a Valentine’s Day Dinner Dance and a Black History Month, African American History Read-In for all ages. The Rev. Dr. Marva Usher-Kerr has been a faithful member of The United Methodist Church for many years. During that time she has been active on every level of the church, including serving as a General Conference and Jurisdictional delegate (2004, 2008 and 2012). Three of her greatest passions are evangelism, teaching and missions. She has led numerous lay training events, Mission U and youth ministries. One of Rev. Usher-Kerr’s passions is volunteer missions. She has worked in Haiti and several parts of both Africa and South America. As a certified evangelist of The United Methodist Church, she comes with a wealth of experience. Prior to ordination, Rev. Usher-Kerr worked several years with the General Board of Global Ministries of The United Methodist Church and with United Methodist Women at the national office of The United Methodist Church. She is a graduate of the State University of New York at Stony Brook and has attended Auburn and Union Seminaries. Dr. Usher-Kerr received her master of divinity degree and doctor of ministry degree from New York Theological Seminary in New York City. Rev. Dr. Usher-Kerr served as pastor at Willis Avenue United Methodist Church in the Bronx from 2012-2016 and was appointed in June 2016 to Tremont United Methodist Church, also in the Bronx. Freeport United Methodist Church was birthed from a 1785 Methodist class in the home of Benjamin Raynor of Raynortown (now called Freeport). This a ‘Christ-Centered church that is dedicated to loving God with all their heart, mind and soul and to loving their neighbor as themselves.‘ It is a community filled with faith, hope and love seeking to reach all ages of women, men and children, offering opportunities for spiritual formation (through worship, and Bible study), fellowship, service and witness to the world. Sunday morning worship is a time of inspiration and fellowship that draws in all people.